Gerhard Mitter is not among the most well-known European drivers of his era. However his impact had more to do with his versatility than longevity, which he lacked. 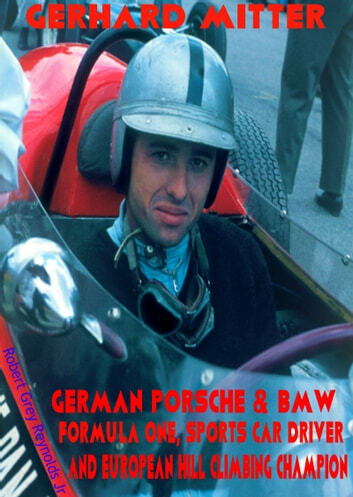 The German completely dominated the sport of hill climbing, winning the world championship in three consecutive years from 1966-1968. 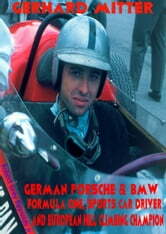 A more prominent name among drivers, Ludovico Scarfiotti, was killed prior to the competition stage of the hill climbing near Berchtesgaden, West Germany in 1968. Mitter raced only five times in Formula One, He died in practice for the 1969 Grand Prix of Germany on the Friday before the Sunday race. His death has never been fully explained and I have presented several expert opinions on this subject.